Sometimes – really, most of the time – the quilt I make isn’t the quilt I envisioned. The one in my head was just so much better! In past challenges, Candy has constructed a second quilt when she’s been dissatisfied with her first; in one instance right away (Sparkle & Shine) and in another after she’d had time to think about it (One Color). Now Alison and I have joined that club. A few weeks ago I went back into my sewing room to clean up all the plaid coat scraps and tiny, shiny triangles. A fistful of scraps gave me the idea to use those leftovers and make a new Sparkle quilt. I was disappointed that my less than stellar construction technique had pretty much ruined (for me) the first one. While I can’t claim this second try is a complete winner, at least I like it better than the first. 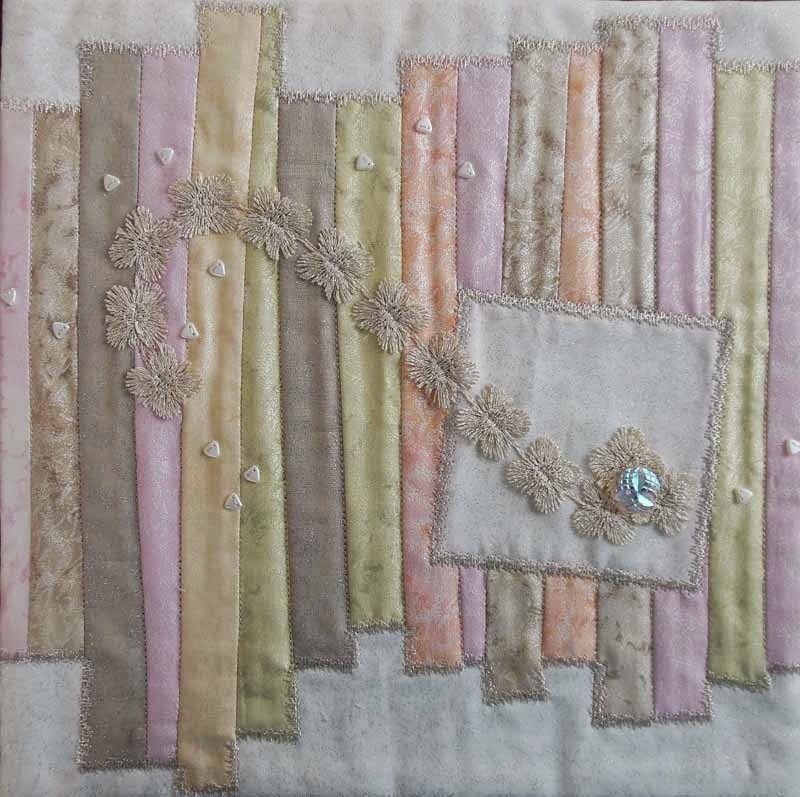 Shimmery fabrics, beads and even apt selvedge lettering included. She tried the raw edge appliqué technique that Cath had used in her Classic Literature quilt (leaves on the tree). It’s great when we inspire each other to try new things. 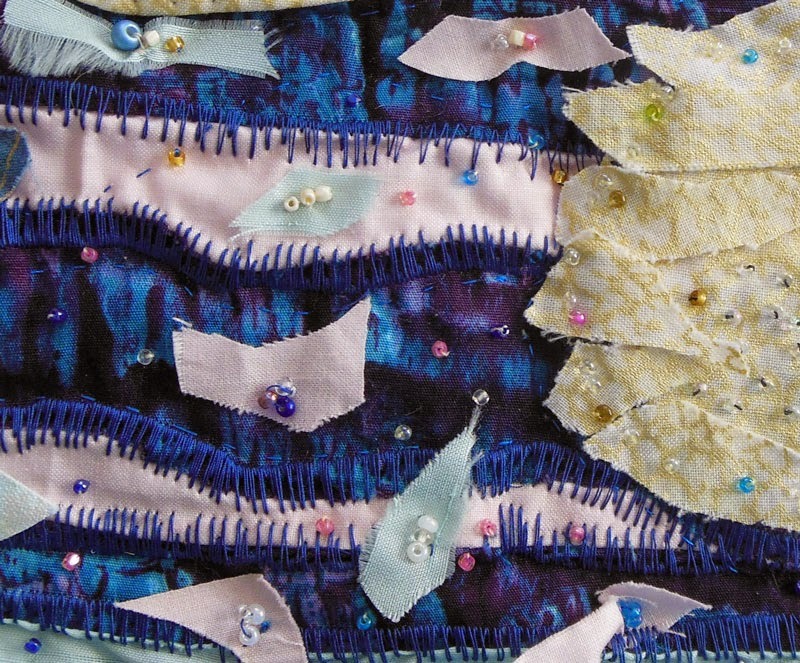 Alison’s second quilt was inspired by a collection of buttons she received as a gift. It’s a medley of color, shape, texture, and shine… and she was happier with it 🙂 Since we aren’t trying to please anyone but ourselves that equals success. Sometimes, the second (or third, or fourth…) time is the charm.